Yet another small business financing company has surpassed a historic milestone. Representatives for Coral Springs, FL-based Business Financial Services, Inc. confirmed that they have funded $1 Billion since inception. BFS, as they’re known in the industry, was founded in 2002, though nearly half of their volume was funded in just the past two years. 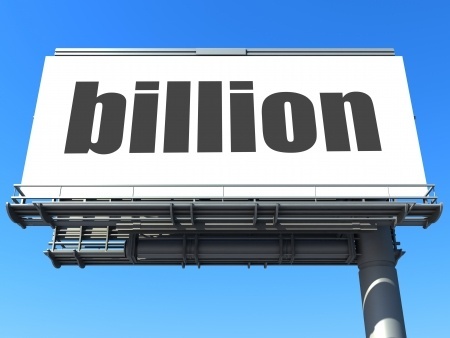 deBanked had recently speculated that BFS had funded somewhere between $700 million and $1.2 billion in their lifetime. They are now one of seven companies confirmed to have reached the billion dollar threshold. New York City-based Merchant Cash and Capital announced hitting the billion dollar mark only four months ago. “This milestone is indicative of how much demand there is for working capital among small businesses, the backbone of the U.S. economy,” said Marc Glazer, CEO and co-founder of BFS. BFS/Boost Capital CEO Marc Glazer on Bloomberg London in 2013Much like Capify, a newly-formed lending conglomerate with operations in multiple countries, BFS has a presence in Canada and the United Kingdom. In the U.K., where they operate as Boost Capital, they’ve got an active relationship with the press. Several commercial finance brokers put BFS in the same league as OnDeck and CAN Capital competitively. Referring to BFS, Arty Bujan of New York City-based Cardinal Equity told deBanked, “I think they’re great and serve a specific sector of our industry for merchants that need more money and are willing to prove they’re worthy of it.” He added that the documentation requirements at least in his experience can be a little bit more stringent than for competing companies that promise to fund almost immediately. In April of this year, BFS extended its credit line with its bank group led by Wells Fargo Bank, N.A. “We are excited to reach this milestone, as it is fueled by our ability to meet the financing needs of so many businesses of different sizes across more than 400 industries,” said Glazer. BFS is the only billion-dollar-plus funder on the deBanked leaderboard to be based outside of New York City or Silicon Valley. South Florida is widely considered to be one of the top three hubs for tech-based lending. This milestone for BFS is a validation of that. “With a high percentage of our customers renewing with us, and doing so at higher amounts, we are well-positioned for continued growth,” Glazer said.